GREATER FORT LAUDERDALE, Fla. – (July 9, 2018) – The Greater Fort Lauderdale Convention & Visitors Bureau’s Film, Music, Fashion & Create division has officially launched the Bureau’s first Underground Create Map. 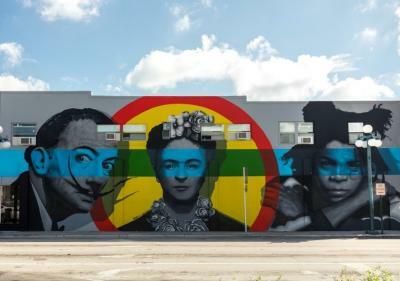 This curated guide of creative hotspots is designed to showcase Broward County’s creative universe. 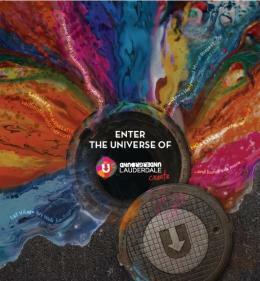 From live Indy music events and festivals to art walks and trolley tours called Underground Stops (U-Stops), the Underground Create Map is a comprehensive catalogue of the area’s arts offerings and an easy way for residents and visitors to plan their cultural outings, through the multisensory underground creative scene. In addition to the map, the Bureau has created an Underground Create Pass (UCP), which provides special offers and discounts at various venues throughout the destination to encourage visitation and promote the participating entities. The Underground Create program encompasses a map showcasing the various “creative hotspots” in Broward, from Underground Stops (U-stops) via trolley tours (sunny.org/createstops), to public art (sunny.org/createpublicart), events and festivals (sunny.org/createfestivals), and art galleries and museums (sunny.org/creategalleriesmuseums). You will find more overall information on the main site: sunny.org/create. The Greater Fort Lauderdale Convention & Visitors Bureau, the official tourism marketing agency for Broward County, will embark on a multi-tiered marketing and advertising campaign to heighten awareness of the Underground Create Map and encourage users to sign up to receive a copy. Underground Create’s mission is to promote existing creative industries in the destination and to stimulate new opportunities in film, fashion, music and entertainment. The division is responsible for providing resources and information on Greater Fort Lauderdale’s production-friendly universe, including film incentives and licensing for film and television projects, partnerships for major music concerts such as the annual Rock the Ocean’s Tortuga Music Festival and the promotion of arts events such as Artopia and Art Fort Lauderdale. The Underground Create Pass (UCP) is joined by the division’s Underground Music Pass (UCM) that provides special offers to music vendors and audiences at clubs, restaurants and concert venues. For further information on the Greater Fort Lauderdale’s Underground Create, check out: sunny.org/create.